This book by Herwig Todts explores James Ensor's artistic and social ideas and the interpretation of his art indepth through the analysis of his writings. In the course of the twentieth century, under the influence of the increasing success of Modernism, a misleading image of James Ensor emerged. One might even say that Ensor was confined within a modernist 'straitjacket'. In order to understand the artist's motivations, this book follows the advice given to the art critic André De Ridder by Ensor himself in 1930: 'I recommend you re-read Les Écrits de James Ensor, where I explain my research and defend my ideas'. Ensor's writings can roughly be divided into two categories - his letters and 'les écrits', encompassing his journalistic work, satirical exhibition reviews, comical speeches, words of thanks and praise, and open letters in brochures. The analysis of Ensor's writings is no small task, for he gave little attention to structure and coherence, and employed a complex 'wondermiraclelikefulistic' language - archaisms, neologisms, staggering vitriolic rants, hyperboles, from which the essence of his personal views and beliefs is often difficult to distill. Nevertheless, his writings are a crucial source of knowledge on his opinions on Christian faith, rationality, hypocrisy, the dangers of an emerging Flemish nationalism, animal cruelty, the destruction of natural beauty and ancient monuments, and a number of other topics. Ensor believed art ought to be a source of 'ravishment' for both the viewer and the artist, and continually defended the right of the latter to create an incoherent oeuvre, experimenting with ever new and diverse 'manières', styles, subjects, techniques and genres. Herwig Todts is senior curator of modern art at the Royal Museum of Fine Arts in Antwerp and directs the Ensor Research Project. 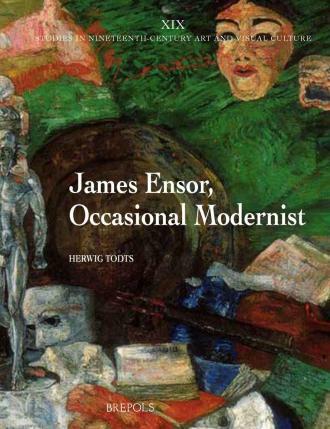 H. Todts, ‘James Ensor, Occasional Modernist: Ensor’s artistic and social ideas and the interpretation of his art’, 2018, 448 p.